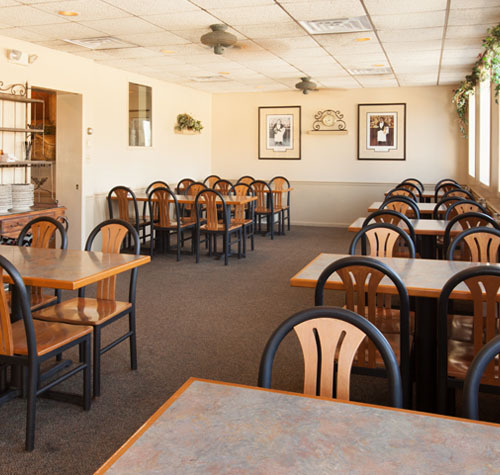 Our banquet room is located on the North end of our restaurant and currently seats 48 people comfortably and up to 52 seated if needed. The room has a convenient side door for direct access into the room from the back (North) parking lot. Tables & chairs can be arranged several ways to meet your needs. Ordering is right off the menu. For large groups of 20 or more we offer discounts on salads buffet style. No outside food or drink is permitted without prior approval from management, cakes (birthday, etc.) are permitted and the only exception. We offer fountain drinks by the glass with unlimited free refills, we also have a full service bar with draft beer by the glass or pitcher. You are welcome to come in and decorate the room prior to your event, please check with our staff a few days prior to your date to see how early you can start. Please do not use tape on the walls or any painted surfaces, confetti, silly string or candles is not allowed. If you do not need the room to yourself than there is no charge for the room, only what you order off the menu. If you choose to have the banquet room private for your function there is a $50.00 charge that will be applied on top of your bill. This applies for any day of the week. If you have 40 or more people the $50.00 will be waived. You must have 40 or more at the time of the function or the $50.00 charge will be added to your bill with no exceptions. 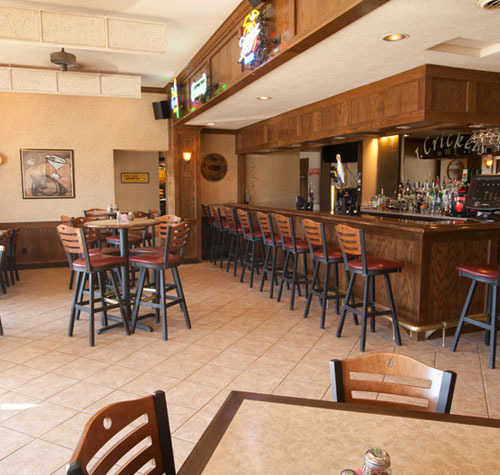 For private parties and groups larger than 20 we do require a $50 deposit to hold the reservation. The deposit can be made in person, by cash, check or credit card or, over the phone by credit card. The deposit will be applied accordingly to your final bill. In the event that you need to cancel a reservation please call no later than two weeks from the date and we will issue a full refund of your deposit. Less than two weeks you will forfeit your deposit. Sunday’s we do not open until 4:00 p.m. If you would like to have a party before 4:00 p.m. we would need a two week notice and there is a charge of $50.00 per hour we are open prior to 4:00 p.m. (ex: If we open at 2:00 p.m. there would be a $100 charge) This is on top of your food and drink bill. To make a reservation please call 309-787-5898. The best times to call is between 9 a.m. and 11:00 a.m. and between 2:00 p.m. and 5:00 p.m. or after 8:00. 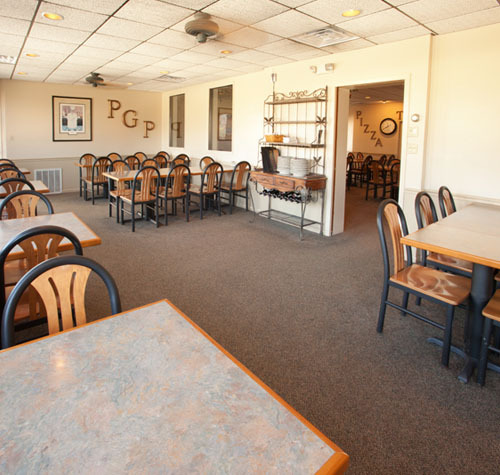 This will allow us more time with you to answer any questions you may have regarding your reservation and menu options.